The Worms franchise has long been seen as one of the most competitive out there. Countless hours have been lost by many playing against friends on the sofa, with screams of laughter and more than a few arguments and disagreements. 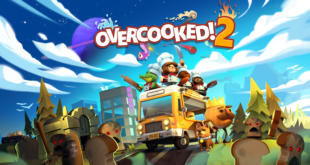 As new titles in the series have added new ideas and tweaked almost everything the core gameplay has always remained the same, and does require a lot of skill. All of that makes it sound like the perfect candidate to become an eSport. There are a few hurdles to overcome, but with the latest title in the series, Worms WMD, developers Team17 think they have a shot at finally building an eSports community around Worms. Of course it isn’t just as easy as saying Worms is an eSport now. The game itself has to be right, there needs to be a rule set, there needs to be some kind of tournament organiser and most importantly there needs to be a community willing to invest in the game. 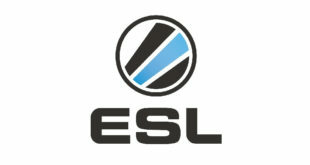 Team17 have tried Worms as an eSport before, even running competitions with ESL at the end of last year. The tournaments were hailed as a success, but they also helped to highlight a few issues within the game that could hinder its progress as a top eSport. RNG isn’t the only issue that the team has to deal with when deciding how to balance the game for eSports. Worms features different schemes, which determine certain game rules such as health, weapons what can spawn on the map and may other variables. These can drastically change the way the game is played, and everyone has their favourite version. While RNG and the multitude of ways to play the game creates some issues for Worms entering the world of eSports it does have a few key advantages over many other titles that have tried and failed to do so. It is fundamentally a skill based game and allows for the amazing plays and unbelievable action that all the top eSports have, but it is also incredibly simple to understand and watch. Worms is certainly in a better position than many games that try to enter eSports, and Team17 seem to be trying to do it in the right way, involving the community and growing it slowly. You probably won’t be seeing them put up multi million dollar prize pools any time soon, but you might see them hosting an event or two. However the team believes that they still have a small amount of work to do on the game and its rules before it is ready.